Sarapppp....i want my pancit palabok to be full of tinapa and egg. The tinapa's flavor makes a big difference eh. :-) nakakagutom! Palabok rates first with me! 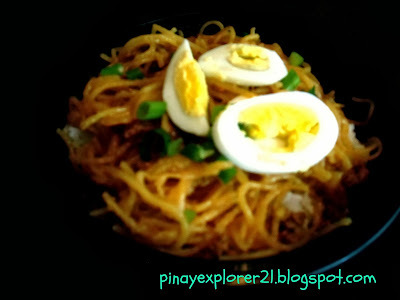 I just love Pansit Palabok. Yummy! Yum! I love the egg topping! And your blog header looks great! I love Palabok! Imagine, there is a shorter way for the sauce! oo nga eh, it taste even better knowing you don't work too hard for the sauce. Thanks! 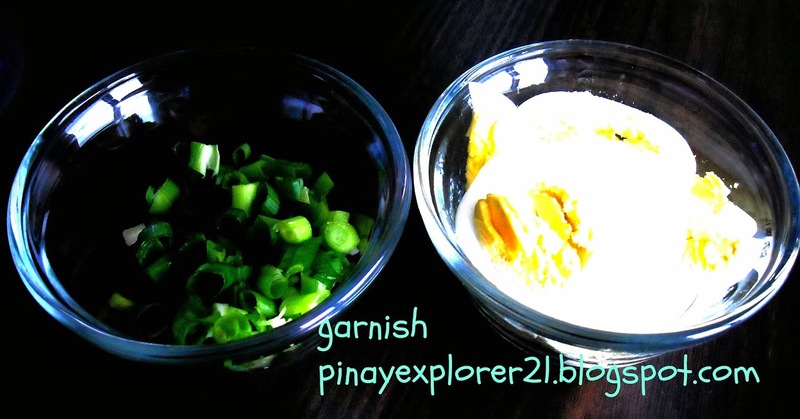 Your blog really never fail to make me hungry, it looks as if I can smell your good cooking! I love pancit palabok and pancit luglug. Daddy is trying to imitate the taste of our favorite palabok, he did succeed once lang. Haha. Is it the same then as pancit malabon? Because I always refer to the one with the thicker noodles as pancit malabon hehehe...Pancit palabok with the thinner noodles has a more runny sauce, I think? I'm confused...bihon na lang nga hahaha! We use a lot of shrimp paste for our Nonya -Malay cooking and I can appreciate the great taste of Pancit Palabok with the addition of your shrimp sauce to you interesting dish. ay, express cooking! ang galing. 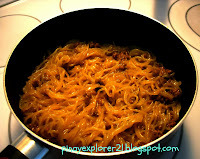 never really thought cooking palabok would be that easy! it looks complicated just by looking at the presentation, dali lang pala. 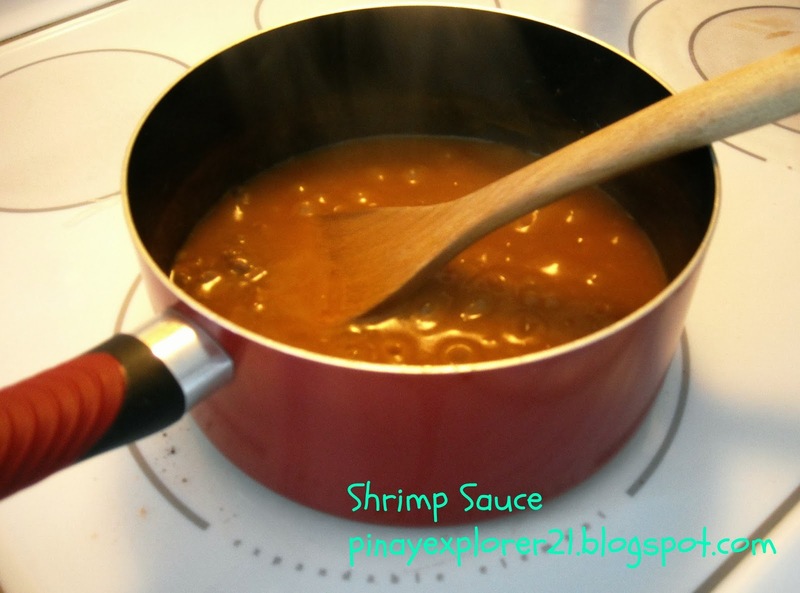 i hope i could find that short cut shrimp sauce here, too para i could cook pancit palabok for my family. thanks for sharing, sis! Bakit kaya di lumalabas sa feeds ko ang mga post mo? Naka follow naman ako sa yo? This is one dish we never cook at home. But once my mom put too much stock on the sotanghon, it tasted like pancit luglog and it was delicious! my lola cooks one of the best pansit palabok in town. i hope one day i would steal her recipe and perfect it. Wow sarap naman..makapagluto kaya ulit ng ganito sa this weekend? My mother used to make this. I should try to make this one of these days. I LOVE palabok. Like some others here, I am craving for one right now! something to look forward to at the end of the day. Thanks! I am not into palabok but this look delish.. Seems like matrabaho but I want to learn how to cook it. i love pancit palabok. but i'm very picky with the noodles and the sauce. so far, the best one for me is red ribbon's tapos jollibee. we also tried making this at home. medyo kinulang lang sa sauce. hehe. 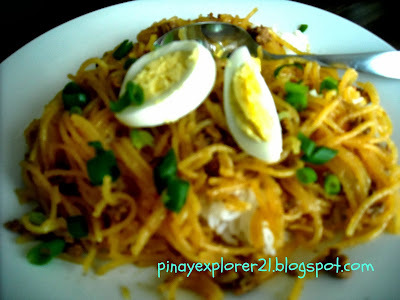 Speaking of Palabok, Mommy told me last night that she's craving to taste this dish. I think I will cook this over the weekends.